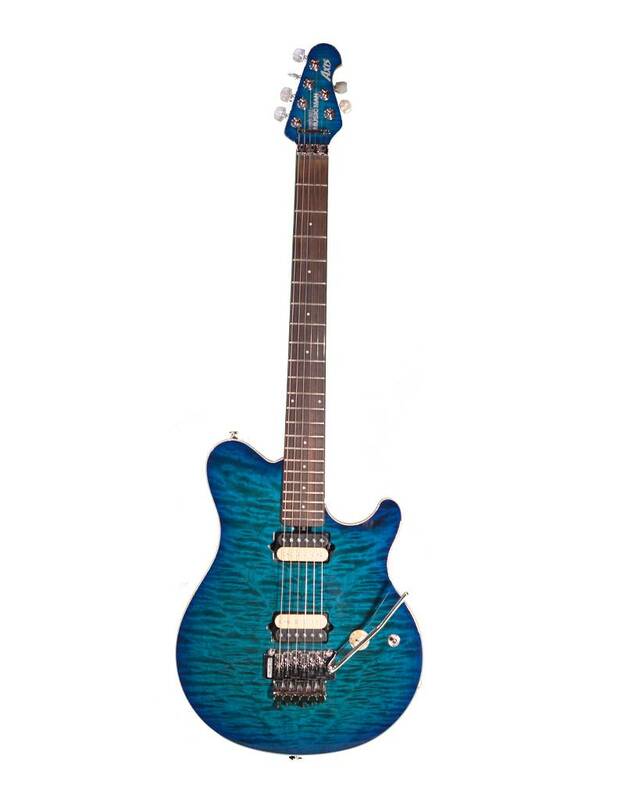 The Axis guitar features a beautiful quilted bookmatched maple top over a lightweight basswood body. Two medium output custom DiMarzio humbuckers are mounted directly to the body for optimum resonance and signal response. This tonewood/pickup combination is a perfect recipe for hard edge rock tones but also delivers a subtle dynamic response at lower volume levels when needed. 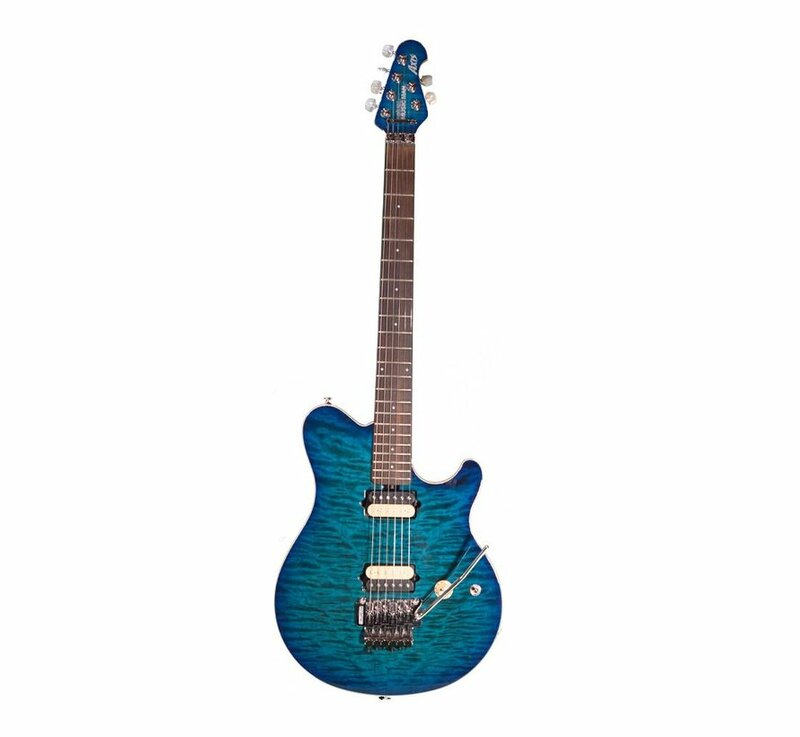 The Axis asymmetric hard rock maple neck ( featuring a rosewood fretboard ) allows for comfortable hand positions across all 22 frets, while the double locking Music Man Floyd Rose tremolo keeps the guitar perfectly in tune. Lowers pitch only !